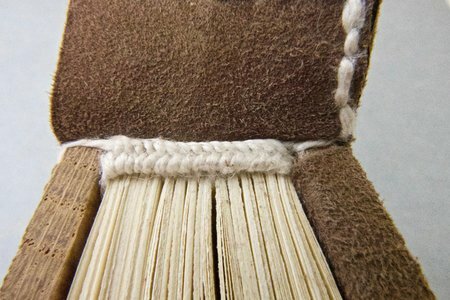 While studying to be a book conservator we mostly work with organic materials. But sometimes we work with metal-mainly if we are making tools. Our first project of the year at West Dean was to make a paring knife. These knives are designed to remove most of the thickness of a piece of leather along the edge. 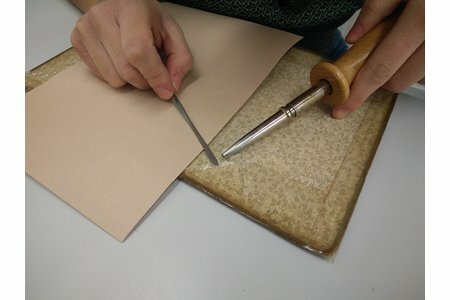 This is useful for making the edge of a piece of leather 'disappear' on the boards of a book when binding it. 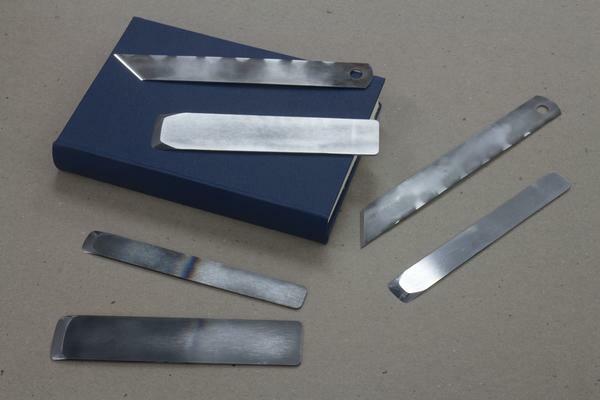 In order to make these knives we started with hardened high carbon steel hacksaw blades. 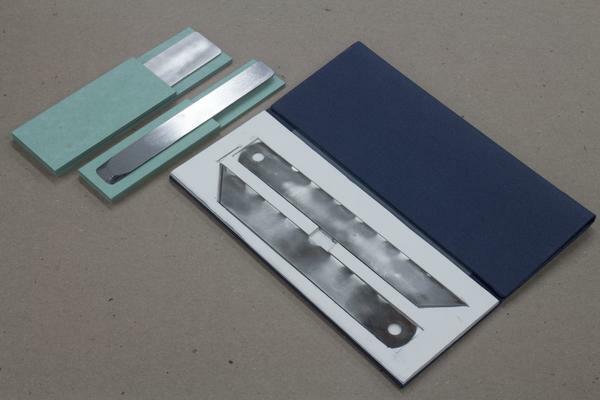 We made English paring knives with a flat blade at a 45 degree angle to the rest of the knife. This is opposed to a French paring knife which has a rounded blade. David showed us how to use the sand blaster to remove the paint from the blades. Then he took us to the forge and showed us how to use the angle grinder to cut the blades down to size. After this we used an electric grinding stone to remove the teeth from the blades. We then used an angled belt sander to put a bevel on one edge of the knife. Our next step was to flatten the back of the knives and the bevel, although this is normally done before putting the bevel on. It's important to get this absolutely flat so that the blade will be perfectly straight, which lets it be sharpened evenly. 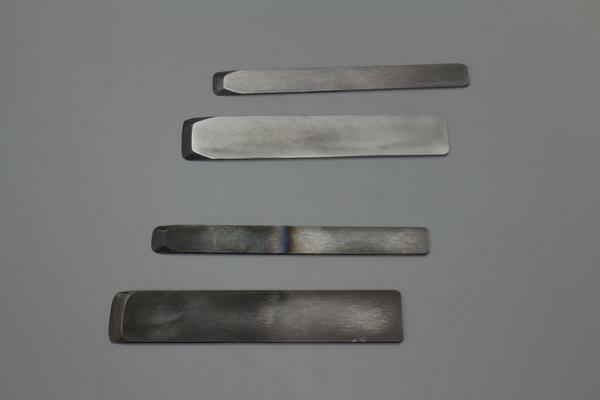 We started on 800 grit Japanese whetstones, then moving up to either the 6000 grit or the 10,000 grit stones. I found that the knife tended to stick on the 6000 grit stone but not on the 10,000 grit stone so I jumped straight to the 10,000 grit stone. After I completed my first knife I made a second. I did this in order to have both a left-handed and right-handed paring knife. 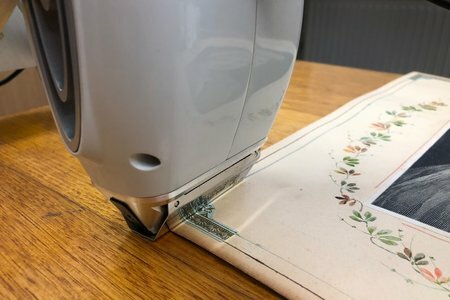 I am naturally left-handed but it has been pointed out to me that in conservation we may not always be able to use our dominant hand and therefore should be as ambidextrous as possible. 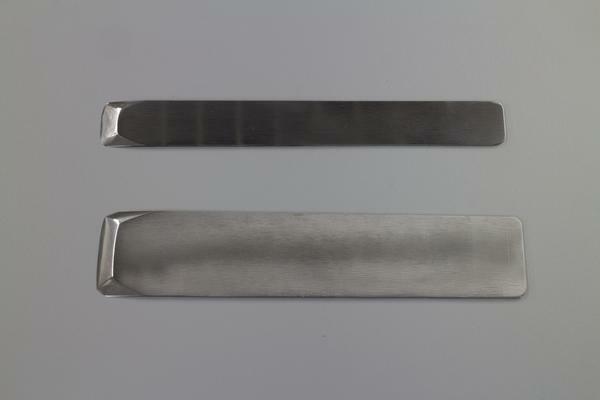 In a previous internship I have used Jeff Peachey's lifting knives and greatly enjoyed the results. Having access to a full metals workshop at West Dean I decided to try and make my own. After a bit of trial and error I was successful in making my own lifting knives. The process of making them was far more involved than I originally believed. It required me to learn how to harden and temper metal, shape a multi-angled bevel, and figure out a modified figure of eight sharpening. I enjoy making my own tools. I feel a certain level of attachment to tools I have made or modified because both my blood and sweat have gone in to them. But also because I understand exactly how they were made and exactly what their limitations are. Going forward I plan to continue taking advantage of the opportunities being at West Dean present for tool making-mainly access to the metalwork and furniture departments to help me with any questions I have!